Whether you’re putting up new construction, making repairs, doing routine maintenance, or fabricating your own metal products, Grove Construction Hardware has the tools and supplies you need for a job well done. We carry quality brands like Stanley, Crescent, Irwin, Bosch, and DeWalt, and we have a large selection within each product line so you can be sure to get the exact right size of whatever tool or fastener you may need. 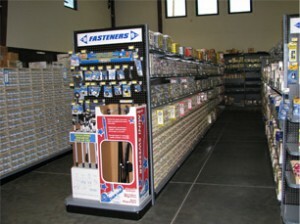 Come browse our shelves or give us a call to find the exact construction hardware in Upland CA you need. At Grove Construction Hardware, we serve some of the largest contractors in the industry. These large contractors enjoy plenty of benefits by working with us, including access to highly competitive prices and the ability to get bulk or special orders fulfilled in a hurry. We know how important having the right tools, supplies, and construction hardware in Upland CA is for the success of your construction project, and no matter how large or small your order we will treat it as a priority and give you the stellar customer service you deserve from your supplier. Contact us today to learn more about our products and pricing.